The fourth Vegas UNCORK'D continued with its tradition of unmatched events over four days of " Foodie" heaven in Las Vegas . The Master Series dinners held all over the famed Las Vegas strip provided guests with some real "Star " quality.With a choice of Masters Series Dinners at Restaurant Guy Savoy , Bradley Ogden , Bobby Flay and RAOs there was no way anyone could go wrong. The Pellegrino and Straci families need no introduction. Ron Straci, co-owner of Rao’s, remembers serving as an informal waiter in 1947 at the age of twelve during the Feast Of Our Lady of Mount Carmel. During the feast, Rao’s closed its kitchen so as not to compete with the sidewalk stands set up during the holiday. When the family decided to expand the Rao’s concept to Caesars Palace Las Vegas in 2006, Carla Pellegrino was the natural choice to head up the kitchen. 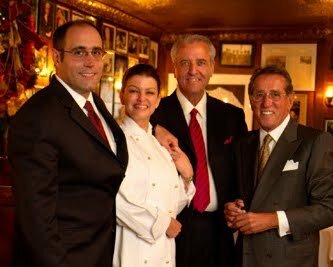 With Frank Jr. managing the front of the house, Carla has created inimitable classic Rao’s dishes, and some new favorites, as well. Carla has made many guest appearances, including cooking on the “Today” show (NBC), the Food Network, and has been a favorite at the acclaimed DeGustibus Cooking School in New York City and various Williams-Sonoma stores. She is an author as well having contributed to six cookbooks, including Meat and Potatoes, The New York Restaurant Cookbook: Recipes from the Dining Capital of the World, and Rao’s Recipes from the Neighborhood. Arriving at RAOs we were greeted by non-other than Frank Sr himself and were escorted to the RAOs patio over looking Caesars "Garden of the Gods " pool for some pre dinner cocktails. Shorty after our cocktails were winding down we joined the other guests in the main dining room and waited with great anticipation of what Chef Carla and her staff would come up with. Having eaten at RAOs many times in the past we knew were in for an incredible culinary journey though southern Italy. The Master Luncheon Series, part of the Vegas Uncork’d Presented by Bon Appetit event, was held by the world-renowned chefs of The Venetian and The Palazzo Resorts .Guests of the luncheons were taken on a culinary journey, courtesy of these talented Executive Chefs . At The Venetian, guests had an opportunity to escape to an urban Parisian brasserie with James Beard award-winning chef Joachim Splichal of Pinot Brasserie. A decadent selection of Chef Splichal’s award winning California-French cuisine with everything from seafood to traditional French desserts was offered. Hosted by Bon Appétit Executive Chef Cat Cora., the exquisite menu included a first course of Layer Tuna Tower with avocado and tomato, a second course of sweet and sour Santa Barbara spot prawn, a main entrée of Spring Lamb sampler with goat-cheese-tomato-asparagus stuffing, and a scrumptious dessert of Chocolate beignet with cherries chaud-froid. The Patina Cookbook, a gift presented to each guest, complimented Chef Splichal’s afternoon culinary genius and allowed guests the opportunity to embark on their own food-inspired adventure in the kitchen. Also at The Venetian, Chef Luciano Pellegrini and restaurateur Piero Selvaggio hosted an intimate luncheon inside Valentino with Bon Appétit Senior Food Editor, Sarah Tenaglia . This award-winning restaurant, sister to the iconic Valentino in Santa Monica, delighted guests with a mix of classic and contemporary Italian cuisine. Starting off with a Tartare Trio with Agrumato, guests were taken on a palatte pleasing journey as they next enjoyed Risotto all’Onda with Dover Sole Filet and Spicy Vodka Sauce, Spring Lamb Medallions with Tender Fava Beans, and Gelato. The Valentino Cookbook was presented to each guest to take home and enjoy. The 4th annual Earth Day Food & Wine Festival is a weekend celebration at locations throughout the Central Coast. After spending several days in the area exploring sustainable wines and organic foods the best way to finish off the weekend was at the feature event held at the historic Santa Margarita Ranch where over 200 purveyors of award-winning, sustainably produced food and wine show off their best. Growers, vintners, and chefs all came together to serve delicious, one of a kind dishes made with locally sourced fruits, vegetables, meats, cheeses, olive oils, and more to the guests . This was a great opportunity to enjoy live music, a silent auction, unlimited samples of local cuisine, and meet the farmers who grow great food and wine while nurturing a healthy environment. The Earth Day Food & Wine Festival is a benefit event that supports farmworker education and sustainable ag research conducted by the Central Coast Vineyard Team (CCVT), a 501c(3) non-profit organization. The Central Coast Vineyard Team is a collaboration of 300 growers, wineries, consultants, researchers, and natural resource professionals dedicated to promoting sustainable winegrowing on California's Central Coast. The Earth Day Food & Wine Festival backs up what it preaches with its commitment to host a zero-waste event. In 2009, the event generated only two bags of trash for over 1,000 visitors. The food provided by local chefs and farmers was served on and with recyclable and compostable plates, bowls, forks, and spoons. Appropriate disposal containers, provided by San Luis Obispo Integrated Waste Management Authority, were accessible throughout the event. A team of volunteers wondered the site during the event , managing the recycling and compost project. A plastic reduction policy is in place as well. Guests were asked to drink water from their commemorative wineglass. Even event's program is produced using post-consumer recycled content and the entertainment stage is solar powered, compliments of Pacific Energy Company. Ticketholders who carpooled with four or more in a vehicle received premium parking, in addition countywide shuttle service was available to further reduce traffic created by the event. The SIP certification takes alot of work and commitment from the vineyard owners . In order to qualify for vineyard certification, growers must farm in a way that protects both natural and human resources as outlined in the rules, otherwise known as the Standards. Not only do growers have to achieve and document 40 requirements, but they must earn 75% of the available points through implementing additional management enhancements to qualify for certification. Finally an independent inspector verifies a grower's responses and practices through an in-depth records and on-site audit. The special site for the Earth Day Food & Wine Festival was chosen for it's unique and rustic ambiance. Participants and visitors alike could not help but enjoy this intimate event at a very special rural location. The Santa Margarita de Cortona Asistencia was established in 1787 as an asistencia ("sub-mission") to Mission San Luis Obispo de Tolosa to minister to the large number of Chumash (Obispeño) Indians who inhabited the area. Named for an Italian saint, the settlement was located at the top of the Cuesta Grade (north of San Luis Obispo) on a site selected by Father Presidente Junípero Serra in 1772. The facility also served as an outpost, chapel, and storehouse. In April, 1889 the town of Santa Margarita was founded. The former rancho lands today are under the ownership of four families. Several of the original stone walls remain standing, having been incorporated into a ranch barn. The 4th Annual Earth Day Food & Wine Festival was a fabulous success. Everyone who visited the Central Coast and supported the area's sustainably produced, award-winning food and wine and that benefits all of us. Our hats are off to Kris O' Conner and the Central Coast Vineyard Team for a great event and for letting us " SIP the good life "
The annual Santa Barbara County Vintners' Festival Weekend attracted wine lovers from all over the country for an opportunity to meet member vintners, taste their wines, and enjoy great food and music over a long spring weekend. Within Santa Barbara County there are four distinct appellations: Santa Maria Valley, Santa Ynez Valley, Sta. Rita Hills and the newly approved Happy Canyon. In addition, the Los Alamos Valley region, between the Santa Maria Valley and Santa Ynez Valley appellations, remains a strong and successful grape growing region. Slightly less than half of the grapes grown in Santa Barbara County are used by local vintners, with the balance are exported to wineries outside the area. Breathtaking valleys and mountains studded with ancient oaks, brilliant wild flowers and magnificent vineyards are always the scene when you visit Santa Barbara County. Before the festival a leisurely country drive allowed us to fully appreciate the winemaking experience as we transversed the valleys and sampled some excellent wines. The Santa Barabara County Vintners Festival is a wonderful discovery for any wine lover and foodie alike. You'll find great restaurants, galleries, country inns and exceptional tasting rooms located in the small towns of Solvang , Lompoc , Santa Ynez , Los Olivos and Santa Barbara itself. In the cellars this time of year, winemakers are bottling their first whites and pinks from the 2009 season, as well as their red wines that ready from previous vintages. You can feel the excitement in the air as they wineries are anxious to show off their latest creations. As most wine people would agree that great wine starts in the vineyard with great grapes. This area has been blessed with an excellent climate, soil and topography that is unique and you can taste that signature in the wines. Santa Barbara County's winegrowers bring modern growing methods to the age-old art of viticulture and produce some of the finest wine grapes and wines in the world. 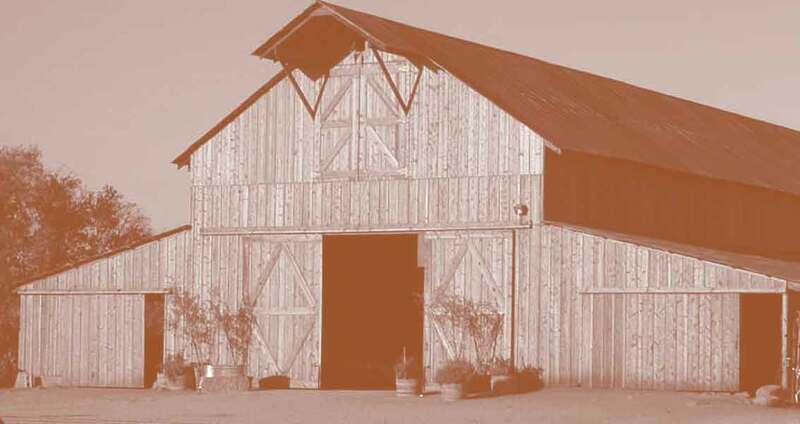 The wines of Santa Barbara County have always been the main attraction of this area. 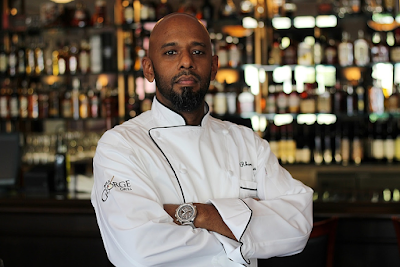 However , Las Vegas's own Bradley Ogdan has come to town with his restaurant , Route 246. Chef Bradley himself was at the festival treating us all to a few of his great dishes. The property that’s now home to Root 246 was known for years as the Meadows Restaurant. When the Santa Ynez Band of Chumash Indians purchased the Meadows in 2007, the tribe looked to transform the old restaurant into a contemporary elegant dining destination unlike anything the region has ever seen. The tribe hired Chef Bradley Ogden. This award-winning chef enjoys a phenomenal track record as a restaurateur, having successfully launched and overseen the creation of several critically-acclaimed restaurants. Chef Ogden’s expertise should help ensure that the tribe’s new venture in Solvang will meet the high level of quality guests have come to expect. Whether it’s wild asparagus from Santa Ynez, or fresh spiny lobsters from Santa Barbara, Root 246 is has brought a whole new type of dinning experience to the area and serves their guests the finest produce and proteins the region has to offer. There are so many great wines made by big names in the industry such as Ken Brown , Doug Margerum , Kenneth Volk and Kris Curran just to name a few we could literally write a book about each one of them. We try to not only sample their wines but are always searching for others that we feel stood out along with the great wines of the area. Ampelos Cellars is always a stand out that we look for when in the area. Peter and Rebecca Work are firm believers in the old adage that the “wine is made in the vineyard”. Their estate vineyard has been planted to those varietals that showcase the location, soils and climate of their vineyard . The varietals Ampelos has planted are Pinot Noir, Syrah, Grenache and Viognier. In addition to their estate grapes, Ampelos continues to produce wines from fruit sourced from other vineyards in Sta. Rita Hills, FiddleStix for Pinot Noir and Quatro Vientos in Santa Ynez Valley for Viognier and the Syrah for their rosé . In addition to legendary wines and winemakers the landmark Hitching Post Restaurant was also showing off what has made them famous in the culinary world. The Buellton Hitching Post was established in 1986, but their roots started at the Casmalia Hitching Post in 1952. It was there that Frank & Natalie Ostini brought "Santa Maria Style BBQ" to its peak of perfection and where children Bill, Bob, Terri & Annette continue to this day. At the Hitching Post II in Buellton, they honor that tradition and also embrace contemporary cooking styles. By combining the old and new, they have created exciting cuisine that is uniquely their own. Along with their outstanding steaks, ribs and chicken, they serve items such as smoked duck breast, ostrich, home-made soups and outstanding pastries; along with what the Los Angeles Times has called the "best" French Fries in Southern California. They are also one of a very few restaurants creating their own wines for sale in the restaurant and to the public. Hartley Ostini Hitching Post Wines have garnered an excellent reputation. We are always on the "look out " for new wineries and talented winemakers. One of those wineries that is beginning to make a big name for themselves is Dragonette Cellars . Dragonette is a partnership between brothers John and Steve Dragonette and close friend Brandon Sparks-Gillis who joined forces in order to pursue a mutual, long held dream to make wine in the Santa Ynez Valley. Utilizing their contacts with excellent growers and viticulturists, they obtain fruit farmed for low yields and high quality from optimally located sites throughout the Santa Ynez Valley . In the cellar, they personally attend to each wine operation, from fermentation in small lots to aging in the finest French barrels . They believe this level of attention and focus markedly increases quality. 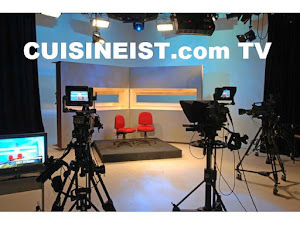 We have meet these very talented partners on numerous occasions over the years. They are passionate and committed to producing small lots of ultra-premium Pinot Noir, Syrah and Sauvignon Blanc. Dragonette is a winery we will continue to watch . We had the opportunity to visit Lafond winery in the past and were impressed with their estate wines. Lafond produces Pinot Noir, Syrah and Chardonnay at the estate winery in Sta. Rita Hills. The estate vineyard was first planted in 1971. Winemaker Bruce McGuire was one of the pioneers in the development of Pinot Noir and Syrah in Santa Barbara County and in California. Bruce controls the total process, from the selection of varieties and clones to plant in the vineyard, to farming practices, cultivation, pruning and when to pick. Accordingly the wines reflect his style and philosophy of winemaking. Jaffurs Wine Cellars is a well known and respected winery dedicated to producing great Rhône varietal wines . Their Syrah, Grenache, Petite Sirah, Viognier, and Roussanne - are among the best in the county. The wines are carefully made in small lots and only about 3,000 cases are produced each year . They work closely with growers in the Santa Ynez, Santa Rita, Los Alamos, and the Santa Maria growing regions and limit vineyard yields and require that optimal farming practices . 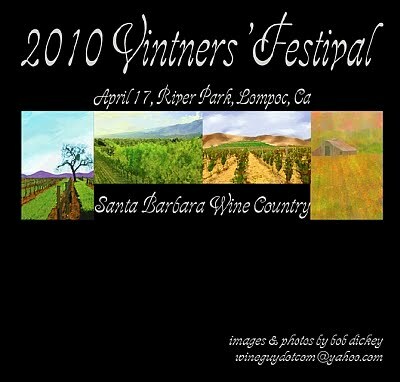 In addition to new wineries the festival also treats is guests with legendary wine makers in attendance as well. One of those very special renown wine makers that is always pleased to show off some of the best wine in the country is Kathy Joseph . Kathy established Fiddlehead Cellars to capture the pure essence of the two grape varietals that she loves best – Sauvignon Blanc and Pinot Noir. Kathy continues to passionately pursue her goal of creating stylistic Sauvignon Blancs and silky, intense Pinot Noirs. Of course the main event is the festival that features the wines of the 130+ member Association, live music, a silent auction and wine country cuisine by the area’s finest chefs. The wineries also host events all throughout Santa Barbara Wine Country starting on Friday with tastings of library wines or barrel samples, vineyard barbecues, winemaker dinners, wine & food pairings. The best way to experience this wonderful region is to make it a 4 day weekend and enjoy the best Santa Barbara County has to offer. The SBCVA now has seven times the membership they had in 1983 and twice the number of AVAs. This region has grown significatly over the years and is probably best known for its diveristy as 60 different varietals are planted there. See you next year in at the 29th Festival for another great experience. Experience the Festival with Elaine and Scott from VINO LAS VEGAS as they show you what a wonderful event this is. 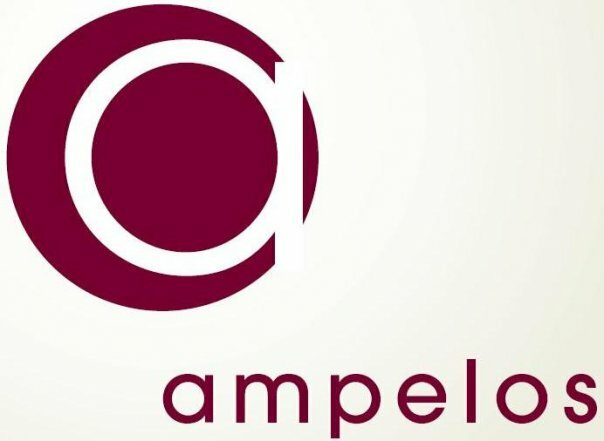 ampelos is a Greek word meaning “vine”. We watched Ampelos Cellars grow over many years and they have obtained a reputation nationwide for quality , sustainable , organic wines . Located in the Sta Rita Hills , Ampelos Cellars has the climate to produce outstanding Estate grown wines from Pinot Noir to Vionnay. On a recent visit to the Santa Barbara County Vintners Festival we spent some time at the Ampelos Ranch and took a walk through their 82 acre vineyard with Peter Work. The morning started like most mornings in the Sta Rita hills with thick " Sea Smoke " and cool temperatures hanging over the vineyard until late morning when the sun burns through the thickness and temperatures rise. This daily routine from nature helps to produce some of the best Pinot Noirs in the country. It was a surrealistic beginning to our morning with a single Red Tail hawk circling above , dogs herding sheep on a near by hill as we were being escorted by Peter's own Chocolate Labrador Retrievers as we started to explore the vineyard. Peter explained Ampelos was selected to be one of the first vineyards in California to participate in the Certified Sustainable Winegrowing pilot program, and is very proud to have met the guidelines of the program and gained this prestigious certification. He went on to explain that Ampelos practices and promotes biodynamic farming in the vineyard. Biodynamics embraces all aspects of organic but takes the notion further by holistically treating the entire vineyard as a living organism. It is as much a philosophy of life as it is a farming method, which is why it has influenced the thinking of so many who initially explored the concept only because they wanted to grow better grapes. Not only has it changed the way Peter and Rebecca grow grapes, but it has gotten them to think more about the importance of balance with nature, the land and farming practices. Peter also added that they are concerned about the environment and try to employ as many environmentally friendly practices in the winery and in the vineyard. They plant fava beans and sweet peas as part of their cover crop in the vineyard which improves the soil as well as provides an environment for insects. They avoid letting the skins, stems, seeds and lees go down the drain in the winery and instead carry it back to the vineyard for composting. They also do most of the work in the winery by hand or by using gravity thereby reducing then need for power. They press our grapes in a basket press by hand and only pump the wines once during their 16 months in the cellar. All of this minimizes the electricity they use. Even the vineyard and home are solar powered. Ampelos vineyard is at the eastern end of the Sta Rita Hills appellation which is cool-climate area that is perfect for growing Pinot Noir and Syrah. The vineyard is one of the few vineyards that gets the cool breeze from the Santa Rita Hills as well as the Santa Rosa Hills. After learning about the hands on work that Peter and Rebecca put into every aspect of their vineyard it was now time to find some cool shade , have some lunch and try some of these award wining wines . With the vineyard dogs guiding the way we found the perfect place right in the middle of the vineyard. The Ampelos Viognier , Santa Ynez Valley 2009 was a perfect wine to start off with after our walk. It's refreshing citrus notes of lemon came through with a nice balance of acidity and a lingering finish. Another stand out for us has always been the Ampelos Rose of Syrah. Their 2009 Rose of Syrah Santa Ynez Vally did not disappoint with a lovely pale rose color in the glass made in the old world provencal style. Of course we could not leave without enjoying the Lambda Pinot Noir , Sta Rita Hills Ampelos Vineyard 2005 and the Rho Pinot Noir , Sta Rita Hills Ampelos Vineyard 2006 . Both of which have won awards and are highly acclaimed.In addition to their lovely Pinot Noirs , The Gamma Syrah Sta Rita Hills Ampleos Vineyard 2006 and their own very special Syrache, Santa Barbara County , 2006 which is their own very unique blend of Syrah and Grenache that has made a name for it self on its own right. Join Peter and Elaine and Scott as they take a walk through the Vineyard and talk about sustainable farming.